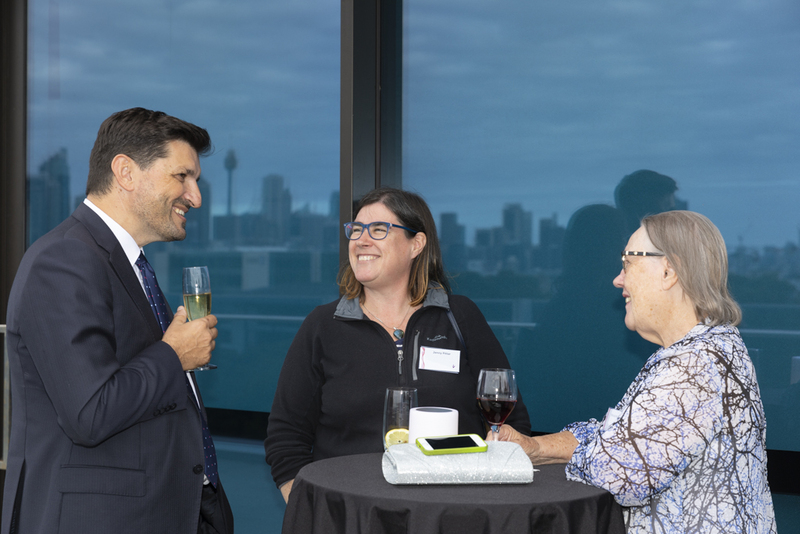 On Wednesday 5 December 2018, The George Institute for Global Health community came together to celebrate the 2018 John Yu Medal awardee Mrs Gabi Hollows AO significant impact on ensuring access to the prevention and treatments for curable blindness. 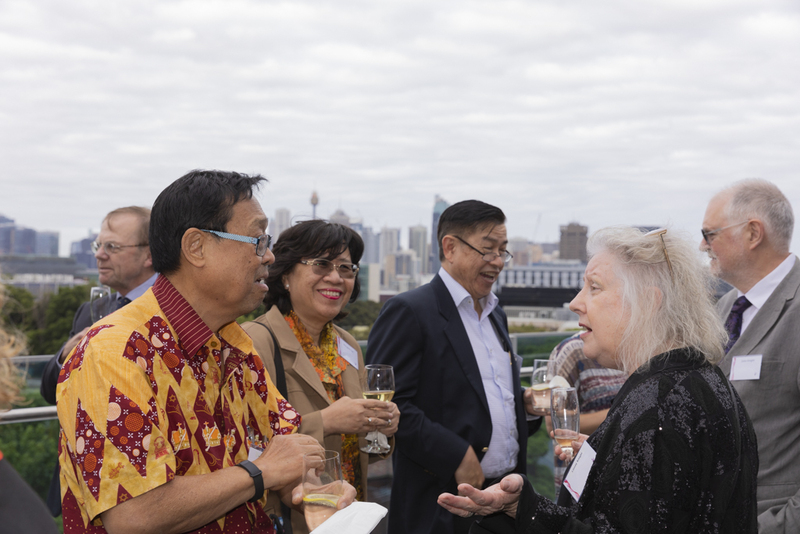 As Founding Director of The Fred Hollows Foundation, Gabi Hollows’ work embodies Dr Yu’s commitment to regional development, health, prosperity and friendship. 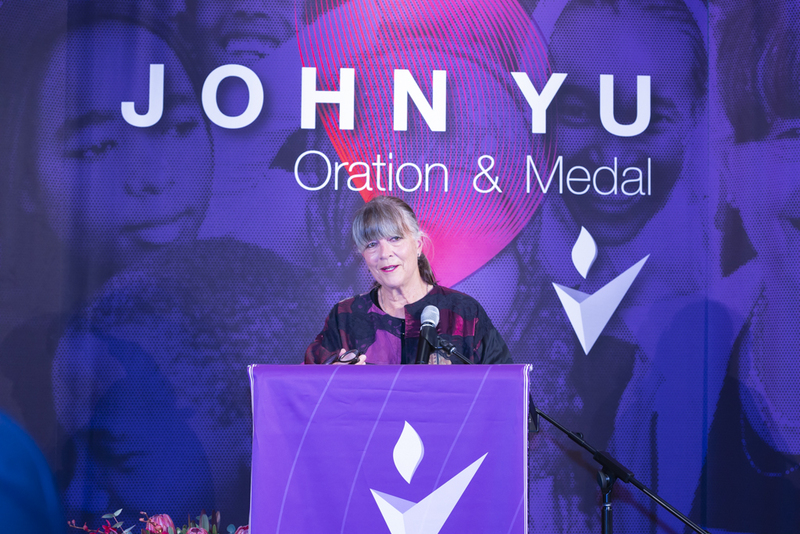 Mrs Hollows delivered the 2018 John Yu Oration, creating sustainable impact, sharing inspiring stories about how she, and The Fred Hollows Foundation, have prevented and treated blindness and empowered communities around the world for over 30 years. 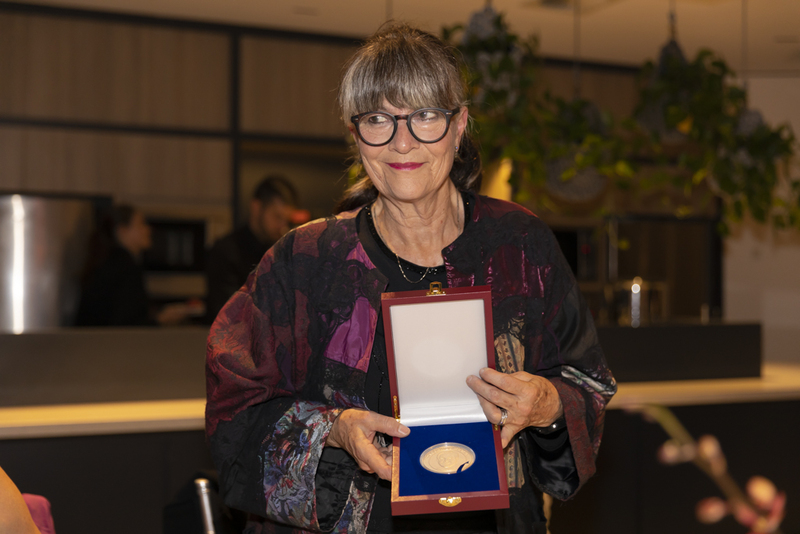 Professor Vlado Perkovic, Executive Director of The George Institute, Australia said: “We were honored to award Gabi with the 2018 John Yu Medal for her work with The Fred Hollows Foundation in improving eye health for vulnerable communities. 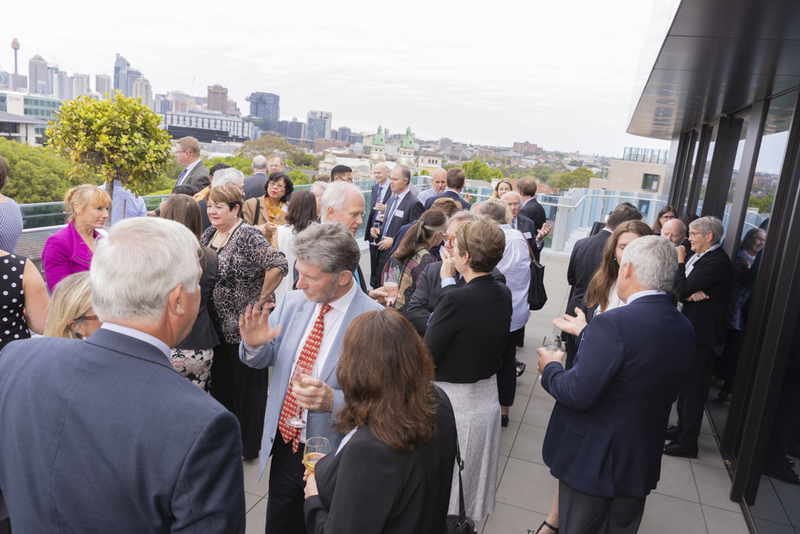 “Gabi exemplifies the lasting impact that meaningful engagement can have for individuals and their communities. 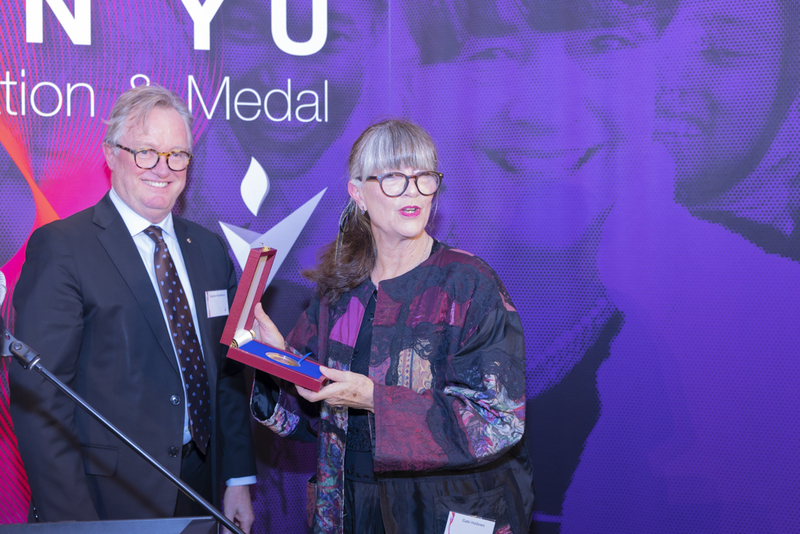 Gabi Hollows said: “It is a wonderful privilege to be awarded the John Yu Medal. 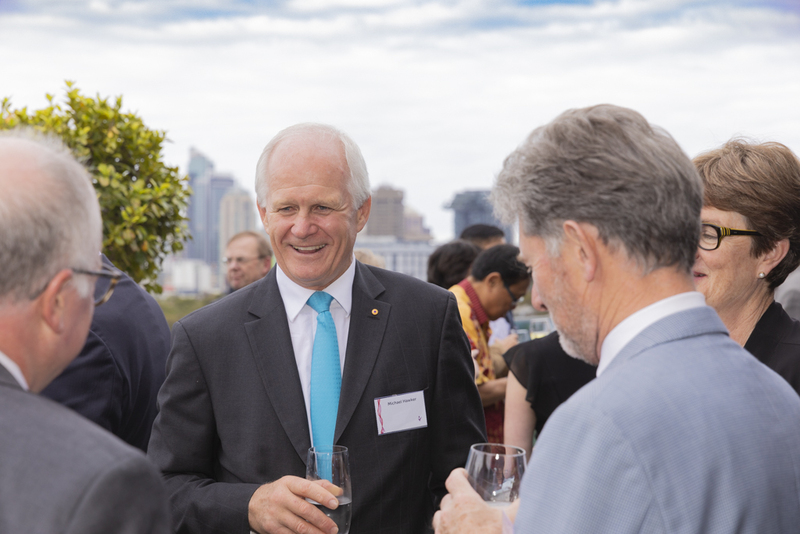 The Fred Hollows Foundation is dedicated to improving the health of millions worldwide, just as The George Institute is. I thank them for this honor. 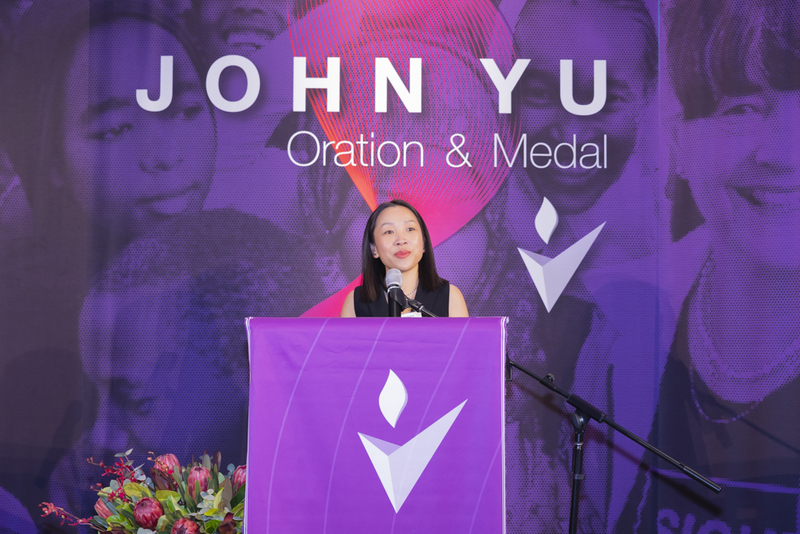 The John Yu Oration honors individuals who share The George Institute’s vision to create a sustainable and significant impact on preventing, treating and providing access to health for millions of people, particularly in Asia. 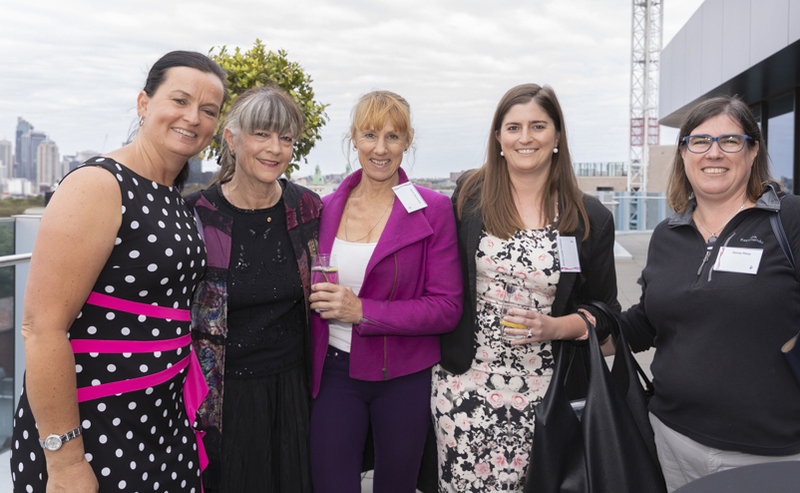 Founding Director Gabi Hollows is a passionate advocate of The Fred Hollows Foundation. Gabi first became interested in medicine when she had eye surgery at three years old. 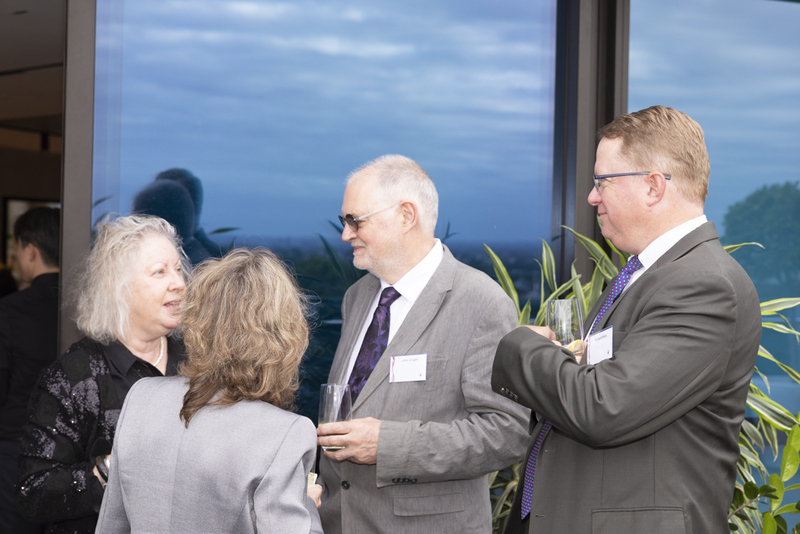 She went on to graduate as an orthoptist and take up a position at The Prince of Wales Hospital in Sydney. 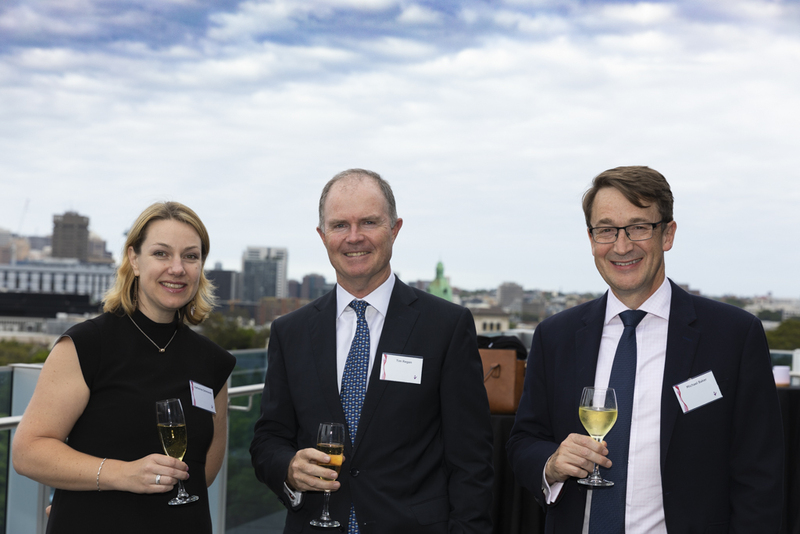 It was there that she got to know Fred and ultimately joined him on the National Trachoma and Eye Health Program. Over three years, the team visited over 465 remote Indigenous communities and treated more than 100,000 people. Gabi’s unfailing enthusiasm for The Foundation is drawn from meeting the remarkable people whose stories have touched her heart – stories of mothers seeing their children for the first time, children returning to school finally able to see the blackboard, and grandparents once again able to care for themselves. 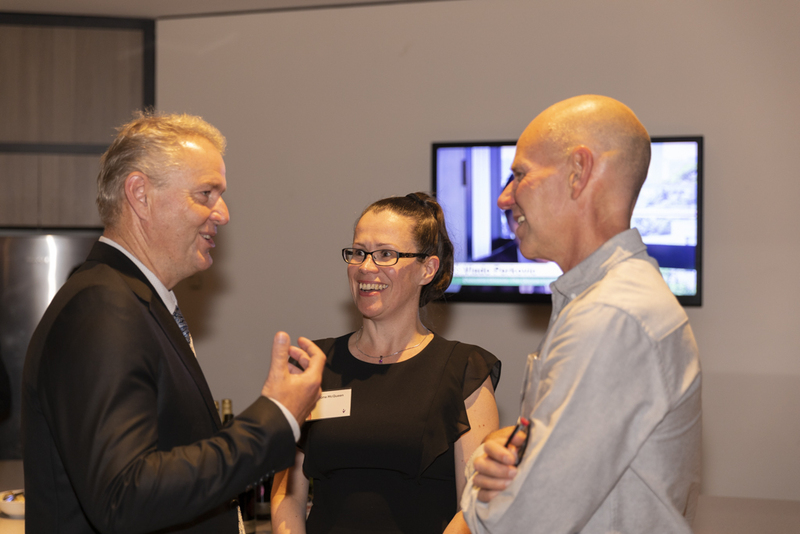 As Founding Director, Gabi is proud that The Foundation has always kept true to the work that Fred started: restoring sight to those who are needlessly blind. 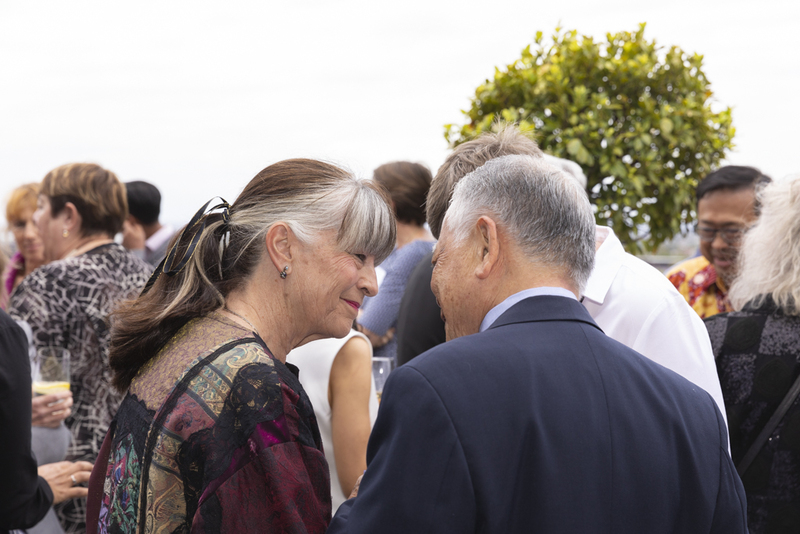 Established in 2012, the John Yu Oration and Medal honors individuals who have made a significant contribution to global health, and in particular to building relationships between Asia and the rest of the world. 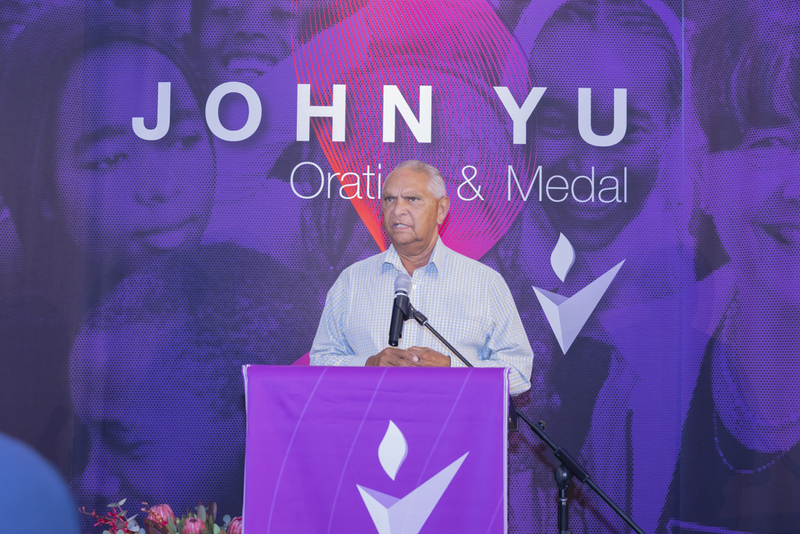 The Oration and Medal were named in recognition of the contributions made by the former Chairman of our Board, Dr John Yu AC. 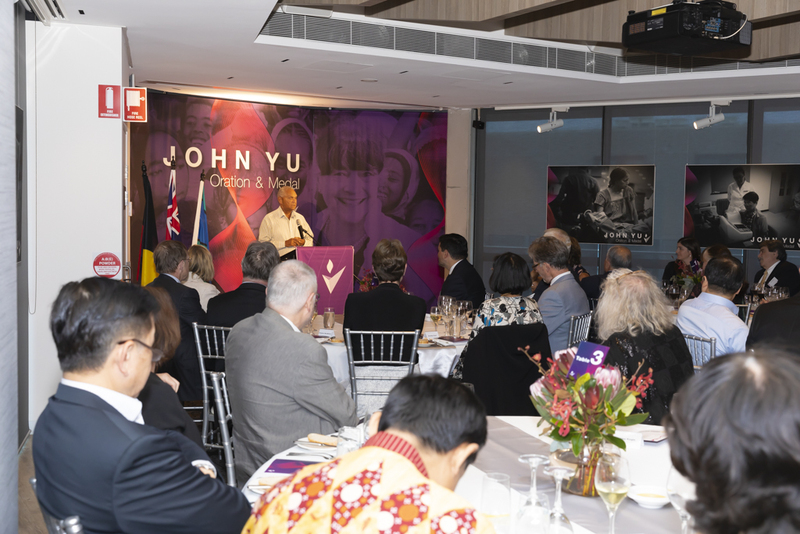 Dr John Yu AC was Chair of The George Institute for Global Health from 2006 to 2010, where his leadership and passion for the Institute’s work were invaluable to our growth. 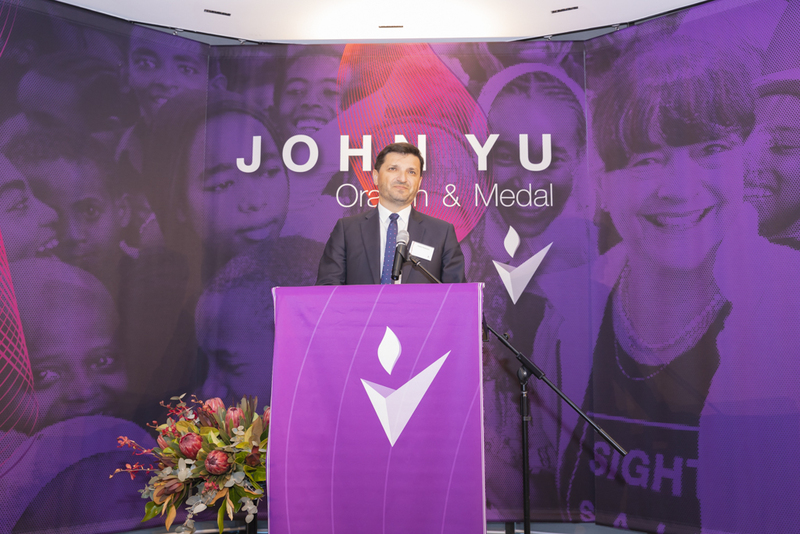 A former Australian of the Year, Dr John Yu was born in China, and with his mother and sister immigrated to Australia as a refugee, joining relatives that had lived in Australia since the Victorian Gold Rush. 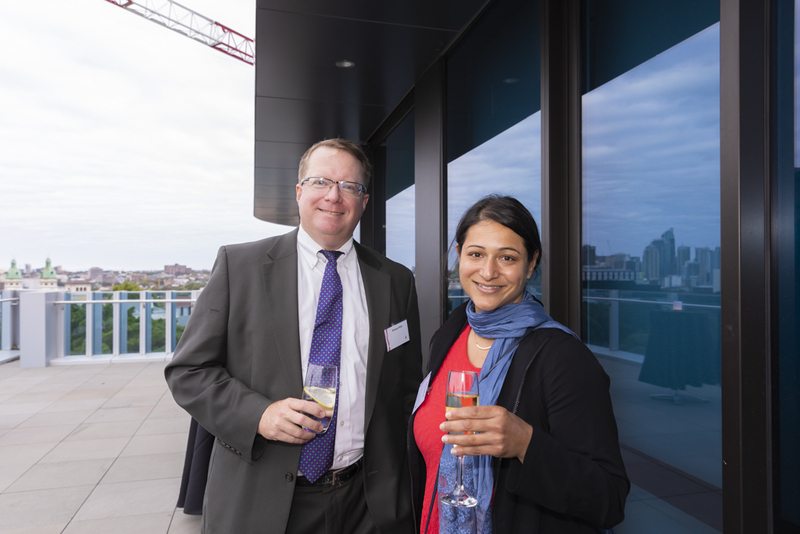 Dr Yu studied at the University of Sydney and embarked on a successful career in pediatrics, rising to the position of Head of Medicine at the Royal Alexandra Hospital for Children in Camperdown. 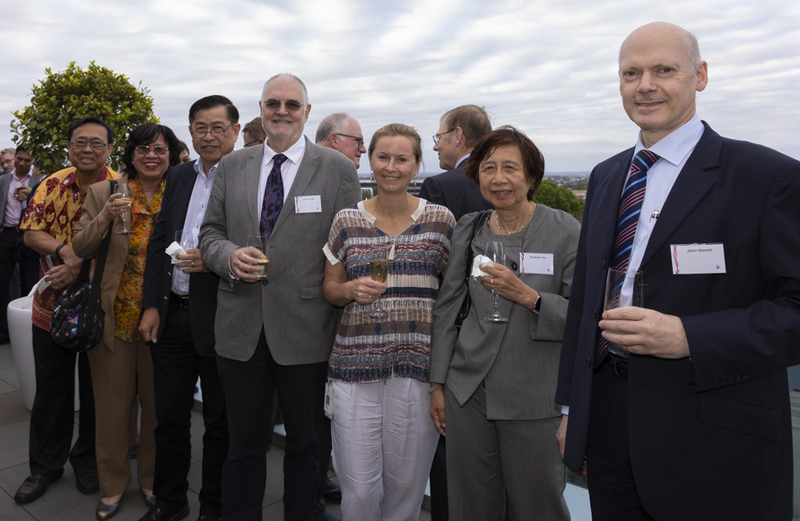 In 1978, Dr Yu was appointed Chief Executive Officer and was the driving force behind the hospital’s relocation to Westmead in 1995. An expert on the decorative arts of Southeast Asia, Dr Yu’s vision was to create a best practice pediatric hospital that integrated art, design and high-quality medical care for the benefit of young people. 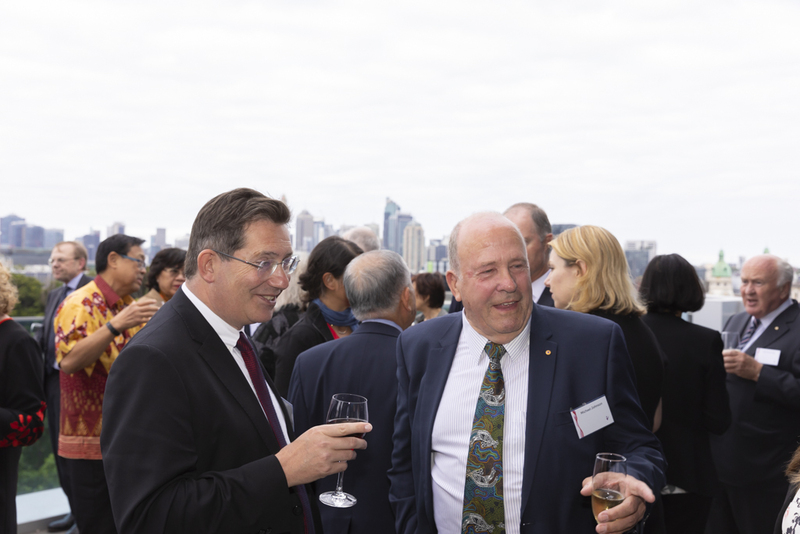 The John Yu Oration aims to contribute to the strengthening of regional ties between Australia and Asia and celebrate Dr John Yu’s lifelong devotion to promoting cultural, educational and scientific relationships between Australia and Asia. 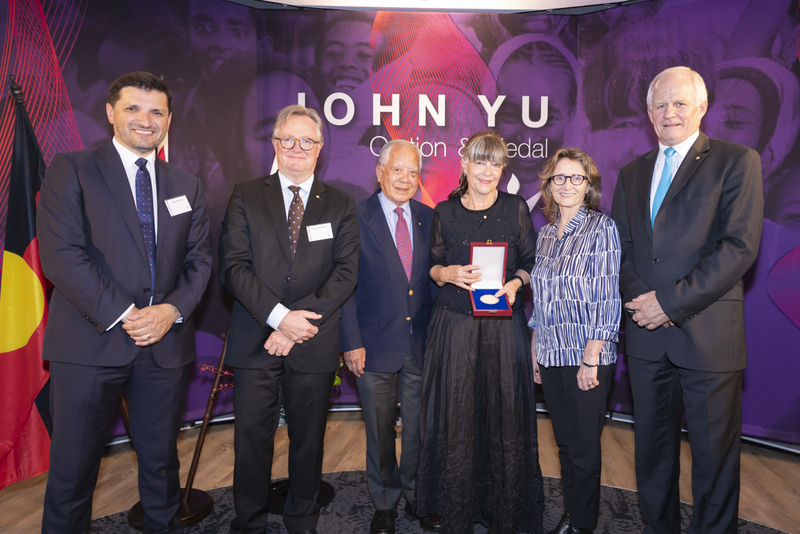 In recognition of Dr Yu’s outstanding service, The George Institute created the John Yu Oration and Medal, which recognizes individuals who embody Dr Yu’s commitment to regional development, health, prosperity and friendship.